“It’s the best it’s ever been.” Hank says. These are words you’ll never say, and for good reason. However, had history been a little different, had some butterfly in China flapped its wings one more time and sent a ripple effect throughout the cosmos, the beer you’ve come to know and love as Cape May IPA might never have come to be. Because it tastes like an IPA that you can drink all day without getting hammered. Our flagship IPA is our flagship IPA for good reason: it’s a helluva beer. It was originally Hank’s recipe — “Jump the Jetty” it was called. As he and Ryan were getting into homebrewing, it was essentially all he ever brewed. 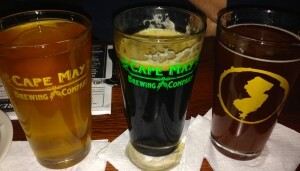 Once they were ready to open the brewery, with their new space at the Cape May Airport secured, they brought the “finished” product to Mop Man, and he gave his opinion. We love sourcing locally, and, luckily, in Cape May, “locally” means anywhere in South Jersey. This area is what gives the Garden State its name, and we’ve got some of the best produce in the world. It’s even better when it comes from right up the street. You’re not friends with people because you find no fault in them: you’re friends with people because their faults mesh with your own. A few weeks ago, we hit up our Culinary Ops & Soda Guru JP Thomas to come up with a recipe using our flagship IPA, and he didn’t disappoint. He came up with a great Crab Mac and Cheese recipe with IPA. It sounded so good, the marketing department decided to gather after work this week and give it a whirl. You know when you were a kid and your mom let you open one present on Christmas Eve? We’ve got that present for you. 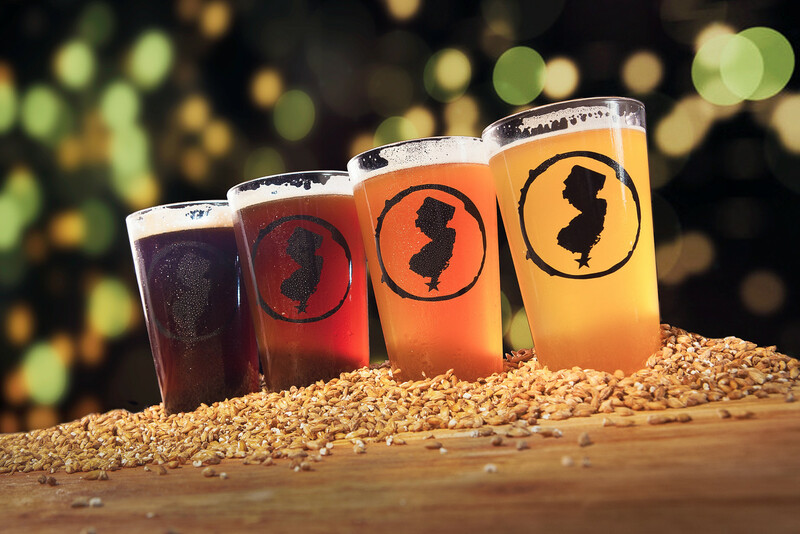 On December 24 — for the first time — Cape May IPA is coming at you in bottles. We’re opening at 10am that day, partly because people are so excited. To begin with, it’s our flagship beer, a seriously hoppy, slightly floral, 6.3% brew… perfect for pairing with a Christmas ham. Then there’s this: our hop contract only allows us to brew so much of this in-demand beer, so it’s always been a tricky one to bottle. But at Christmas, you give the people what they want. And the people are “super friggin stoked,” according to social media coordinator Courtney Rosenberg, who’s been tracking the hype on CMBC’s Facebook and Twitter. While you wait on this very special bottle release, don’t forget: coming at you two days before Christmas is our holiday-inspired Wednesday One-Off: King Porter Stomp with peppermint. Picture this: your trusty King Porter, a smooth and chocolaty brew, paired with peppermint tea — no oils, no extract, just real peppermint flavor. May your season be merry and bright… and full of good beer. We know, we know. This “National Day of _____” thing has gotten out of hand. July 16 is National Corn Fritters Day. March 30 is National Pencil Day. And May 16 is National Sea Monkey Day. Sea Monkey Day! We love a novelty aquarium pet as much as the next guy, but… come on. Typically, we’d consider the fake holiday market a bit saturated, and we’d be loathe to trumpet a National Day of Anything. 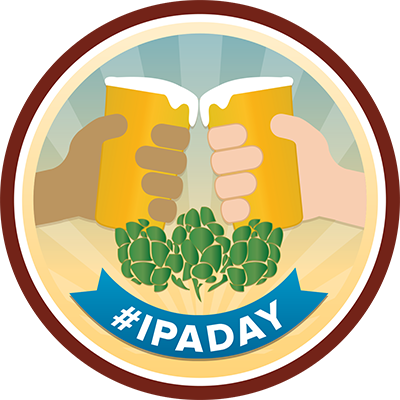 But we think of National IPA Day as the exception to the rule – a celebration worth celebrating. A special firkin of our Take Five Session IPA, which has been infused with extra hops and citrus flavor. A special pin of Coastal Evacuation made with extra (flowery, citrusy, spicy) Amarillo hops. 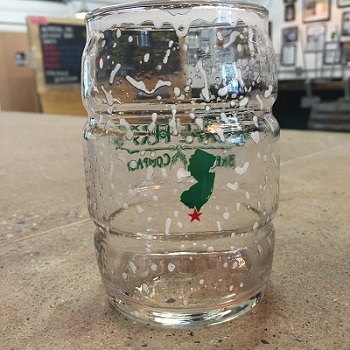 A one-time release of Cape May IPA that’s been dry-hopped a second time with wet hops. For the uninitiated, dry hopping is the process of adding hops (flowers that lend flavor, aroma and bitterness to a brew) after fermentation instead of before. This way, more aroma is locked in to the final product. Typically, we do this to our IPA with two different hop varieties (Cascade and Chinook), and we do it one time only. The hops we use have been palletized, or processed in a natural way to preserve flavor, since harvesting season comes but once a year. We’ve recently come into some fresh-off-the vine (ie “wet”) hops that were grown locally. The blend of Cascade, Chinook, Noble, Centennial and mostly Cascade flowers went from on-plant to in-beer within 48 hours, and the result is a piney, spicy, tangy, citrusy sort of deliciousness that you can taste for yourself on National IPA Day. 1. What happened? Ryan: Yesterday, I was out on the road all day. I had a meeting with Senator Peter Barnes, I was in New York and I’d been in Philly the night before, so I was gone and trying to deal with different crises all day… and then Chris called me when I was about 20 minutes out and said: “There’s a shitstorm brewing.” We were out of IPA, and we had orders for 26 halves and 11 sixtels. 2. How did it happen? Ryan: We have a lot of beer, we’re just selling it. It’s all flying out the door, and it just kind of caught us off guard. The white board where we write them down isn’t even big enough to handle all the orders coming in. Chris: If we could have started brewing in the new brewhouse a week earlier, we would have been fine, but installation got delayed. What are you going to do? 2. Who can we blame? Andrew? He always looks kind of guilty. Chris: Let’s blame our accounts for ordering too much beer! 3. Are you “hopping” mad that it happened? Ryan: At least it’s not our flagship beer… oh, wait. 4. What’s the silver lining here? Ryan: We know we’re reliable and we can deliver on our promises. I came in and worked with [sales reps] Justin and Richie, and we had a little triage unit to figure out which accounts have to get the beer now and which orders we can delay slightly. We’re kegging the IPA on Tuesday, so the beer will be available very soon. Some people can wait, and some are happy to take something else in the meantime. Chris: We have 90 barrels of it, almost ready to rock. And when it’s delivered, it’s going to be ridiculously fresh. 5. For those who can’t bear to be without the Cape May IPA this weekend, what do you recommend as a comparable beer? Chris: We still have the Coastal Evacuation, our double IPA, on tap. 6. Will you miss these kind of growing pains when you hit the big-time and Budweiser is trying to buy you out? Ryan: Chris says I keep telling myself that. It is part of the charm of operating a small business, putting out these fires, so long-term, I think that I’m going to miss it. Chris: Uh, no. I won’t miss it. There’s other things to stress out about! But it’s kind of a good problem to have, right? We’re selling all the beer we have. And the sales team did a good job of calling up the accounts and talking it out. 7. How many IPA accounts are we talking about, exactly? Chris: There was 28 on the board yesterday. Add however many would have been added today, and you’re probably talking close to 40. 8. Finish this sentence. “It’s could always be worse; I’d rather run out of IPA than _____?” Ryan: I’d rather run out of IPA than get randomly inspected by the ABC. Chris: I’d rather run out of IPA than have an overstock of IPA to sit on. 9. Anything else people should know about The Great IPA Shortage of 2015? Ryan: It’s the last one we’ll have. Chris: And it will be short. The shortage will be short. 9. How long do you think it will be before you’re laughing about this? Chris: Once the IPA is in the kegs next week. Ryan: Already laughing. How CMBC sales rep Richie Rallo and Social Media manager Courtney Rosenberg went to prom together in 2005. “I got my hair cut twice that day, because the first time was awful,” says Richie. How good the warm pretzel nugget appetizer is, and we’re not just saying that because the side sauces (Devil’s Reach Sriracha! Honey Porter Mustard!) are made from our own beer. 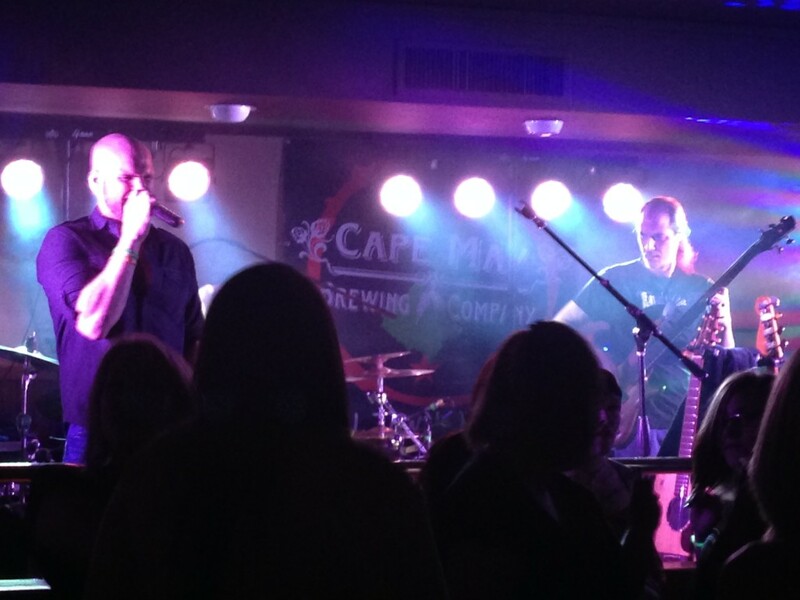 Around 9pm, we knew pop rock cover band Stellar Mojo would be taking the stage soon, so we broke away from the crowd to chat with lead singer John King. He told us that he came back home for this show, the first local venue he’s played in three months because he’s been so busy with gigs in Baltimore, Philly and Boston. And, turns out, CMBC beer being on tap was a big factor in that decision. So — after he took the stage, thanked everyone for coming to watch him instead of the Fifty Shades of Gray premiere, and began singing Bruno Mars while throwing glowsticks into the crowd — we did some reconnaissance, curious about how other people see themselves in terms of beer. “I’m a Devil’s Reach, because I’m smooth and not overly complex,” said Wildwood Crest resident Jerry Mainardi. “Coastal Evacuation, because it’s smooth but dangerous, baby,” said our server Olivia Steffa. “The Wednesday One-Off, because it’s original, a little unique, and always a special edition,” said Erika Watson from Wildwood Crest. Around this time, a table noticed us asking so many questions, assumed we worked for the restaurant, and tried to order six Fireball shots from us, so we figured we’d better sit down. But we did so knowing that this Tap Takeover had been a great success, er, exito.